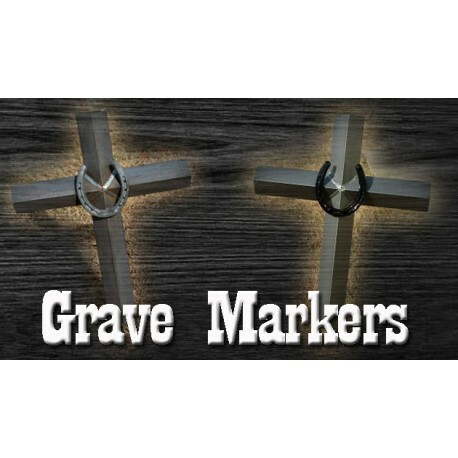 Brand A Bull Freeze Branding Kit 2"
Bock's Neck Straps are an easy way to identify horses. The straps are made from strong, plastic material. Highly weather resistant and tough, yet pliable at all temperatures. 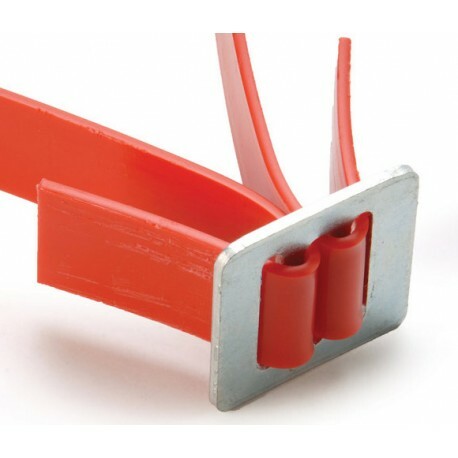 A zinc-coated steel buckle is supplied with each strap. Comes with 1-3 digits. 1 1/4" wide, 1/8" thickness. Bock's Neck Straps are an easy way to identify horses. The straps are made from strong, plastic material. Highly weather resistant and tough, yet pliable at all temperatures. 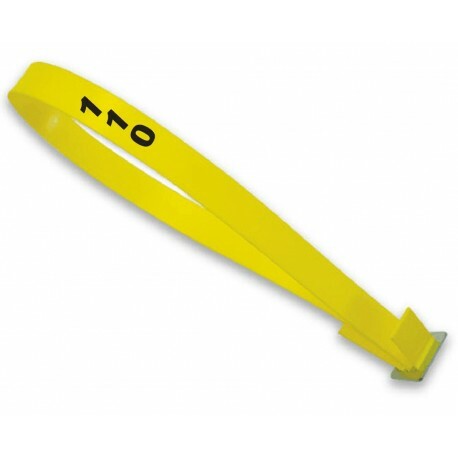 A zinc-coated steel buckle is supplied with each strap. 13/16" wide. Blank. See colors listed under 'more details'. 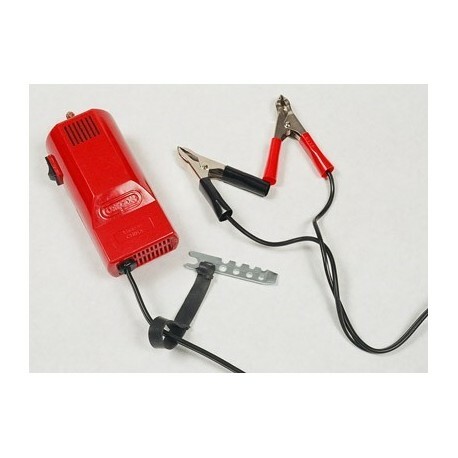 Power your Dremel engraver from a 12 Volt battery. 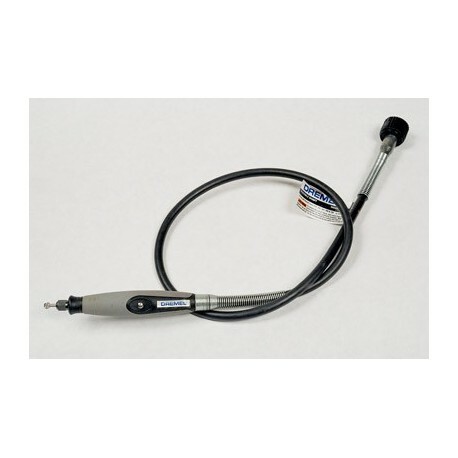 The Ritchey Dremel Flex-Shaft is used as an engraving tool with Ritchey Livestock tags. The Flex-Shaft Attachment is light-weight and easy to use for those with smaller hands or for extended grinding times. 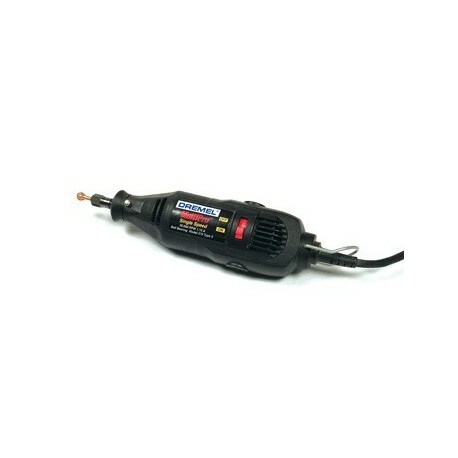 10.8V cordless Dremel with a Lithium-Ion battery (spins at 35000 rpm). 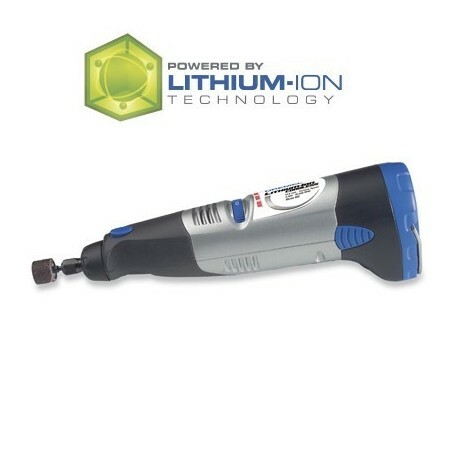 Comes with 1 rechargeable battery, battery charger and 1 - 1/4" HS Cutter bit. The Ritchey Dremel tool is used when numbering tags yourself, using the Dremel as an eraser. Slowly grind away the top layer until the center layer is exposed.The corded Dremel 120 Volt spins at 35000 rpm and comes with a 1/4" HS Cutter bit. Bock's Neck Strap Buckle is a zinc-coated steel buckle. They are supplied with each strap. Extra Buckles available on this page. Neck straps are an easy way to identify horses. Buckle only. Bock's Neck Straps are an easy way to identify horses. The straps are made from strong, plastic material. Highly weather resistant and tough, yet pliable at all temperatures. 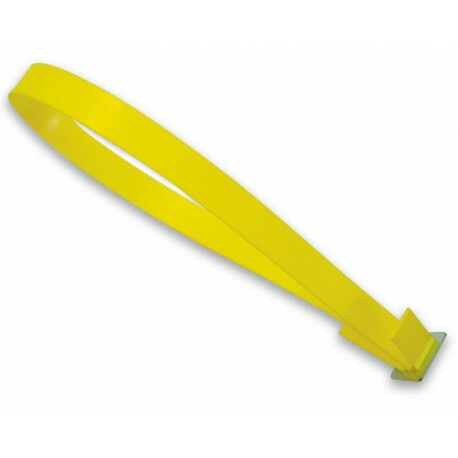 A zinc-coated steel buckle is supplied with each strap. Comes with 4-5 digits. 1 1/4" wide, 1/8" thickness. 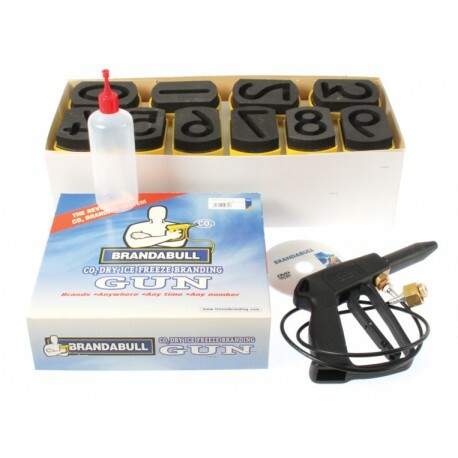 Brand A Bull Freeze Branding Kit 3"